John Alan Carnahan is Director of Bands and Professor of Conducting at the Bob Cole Conservatory of Music at California State University, Long Beach. Prior to his appointment at Long Beach, Mr. Carnahan served as Assistant Director of Bands at the University of Texas, Arlington and Director of Bands at Clovis High School in Clovis, California. Professor Carnahan brings a broad knowledge and extensive background to all idioms of instrumental music performance. His university ensembles have gained widespread notoriety for distinctive performance quality and imaginative musical interpretation and have been honored with invitations to perform throughout the Western United States, Europe and Japan. The Los Angeles Times has hailed the University Wind Symphony as, “…thoroughly disciplined and euphonious!” A champion of new music, Professor Carnahan has been a member of numerous national commissioning projects and the University Wind Symphony has premiered more than twenty new works over the past several years. In addition to his university duties, Professor Carnahan is highly active nationally as a guest conductor, adjudicator, lecturer, and composer/arranger. He has conducted ensembles at the Music Educators National Conference Biennial National Conference, the College Band Directors National Association National, Southwestern and Western/Northwestern Division Conferences, the Texas Music Educators Association State Conference, the Colorado Music Educators Association, the California Music Educators Association State Conference, and internationally in Europe, Japan, and Korea. He is in demand as an honor band conductor and has conducted countless performances at the local, regional, and national levels. Most recently he held the position of visiting professor/conductor at Hanyang University in Seoul, Korea and conducted a highly acclaimed Wind Orchestra performance at the Seoul Arts Center Theater. He also serves as a music/performance consultant with the Dallas Brass. 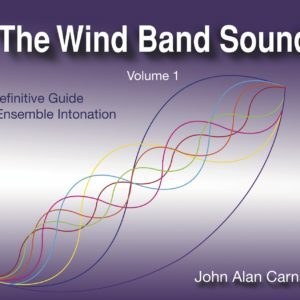 As a composer, Professor Carnahan’s wind band compositions and arrangements have received many performances and have been heard throughout the United States, Europe, Taiwan, and Japan. Professor Carnahan won the 2007 College Band Directors National Association Young Band Composition Contest with his work entitled, …and the antelope play, published by Manhattan Beach Publications. C. Alan Publications also publishes his wind works. Three of his works are included in the Teaching Music Through Performance in Band Series, through GIA Publications, Inc. 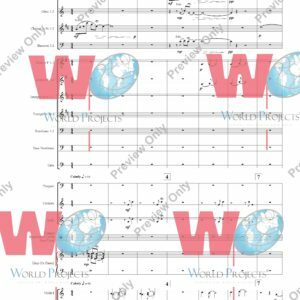 Recently, his work entitled, I Hear Him!, premiered at the World Association of Symphonic Bands and Ensembles Conference in Chiayi City, Taiwan. He holds membership in the College Band Directors National Association, where he serves as Regional Vice-President of the CBDNA Western Division, and as a Life-Member of the Southern California School Band and Orchestra Association. He was honored in 2013 with membership in the prestigious American Bandmasters Association. He received his Bachelor of Music Degree from Duquesne University in Pittsburgh, Pennsylvania, and a Master of Arts Degree from the University of San Francisco.